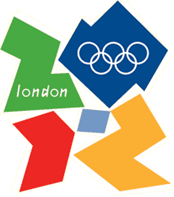 The OLYMPIC GAMES are set to begin Friday, July 27th and run until Sunday, Aug. 12th. You can get yourself ready by watching The Real Olympics: A History of the Ancient and Modern Olympic Games or you can find out about the history of the games by checking out the facts page on our Quick Reference Sources subject guide. There you will find online encyclopedias such as the Canadian Encyclopedia. The article on the Summer Olympics will take you from the start of the Olympics in Athens 1896 to the Beijing 2008 games. The eyes of the world will be on London for the Opening Ceremony this Friday. Athletes from 205 nations will parade into Olympic stadium proud to represent their country, this will be followed by speeches, the Olympic flag will be raised and the Olympic anthem will be sung. The Olympic Flame will come into the stadium and the Cauldron will be lit, indicating the beginning of the games and will continue to burn for the whole of the Games. Want to know how our Canadian athletes are doing? CTV will be covering every exciting minute of the games. Featured Canadian Athlete’s tab highlights the lives of all the athletes competing at the games many of whom you can follow on twitter. This entry was posted on Monday, July 23rd, 2012 at 8:48 am and is filed under Apps. You can follow any responses to this entry through the RSS 2.0 feed. Both comments and pings are currently closed.